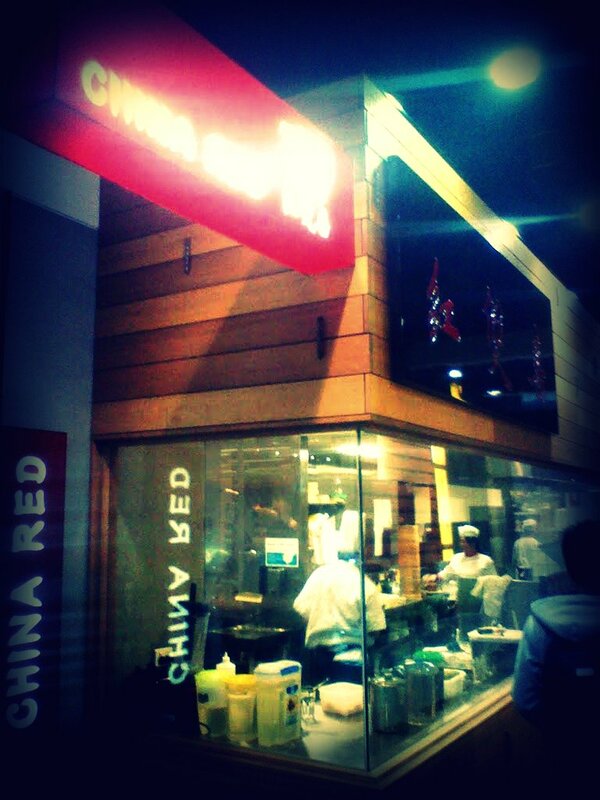 China Red is half way through one the malls running from Little Bourke to Bourke Street between Swanston and Russell. 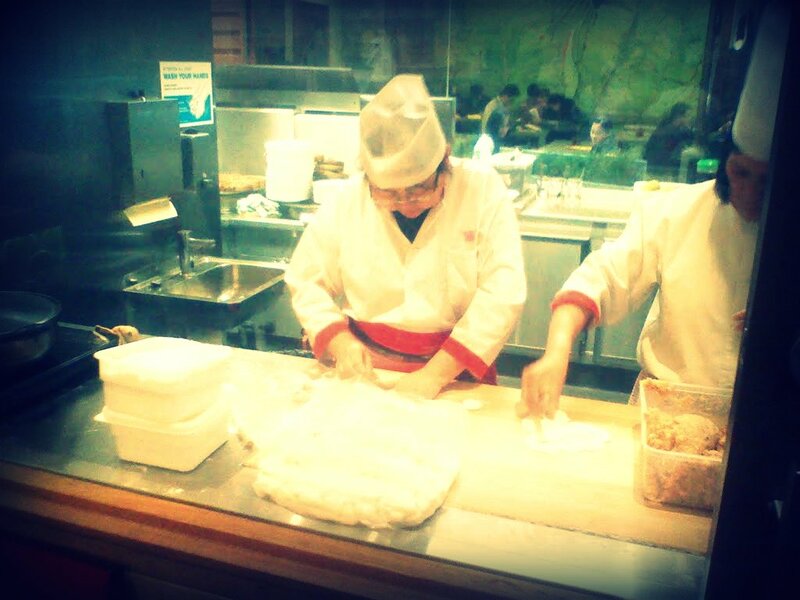 From the outside you can see into the kitchen, with dumplings being prepared before yours eyes. 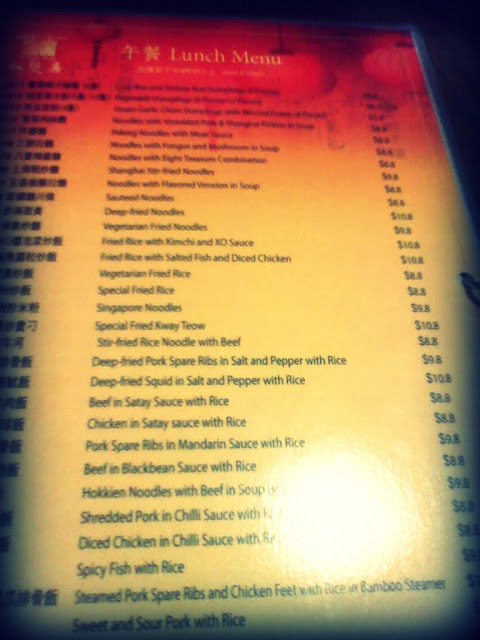 I went with a group of seven and we were seated downstairs in a booth, with one of the touchscreen menu for ordering. 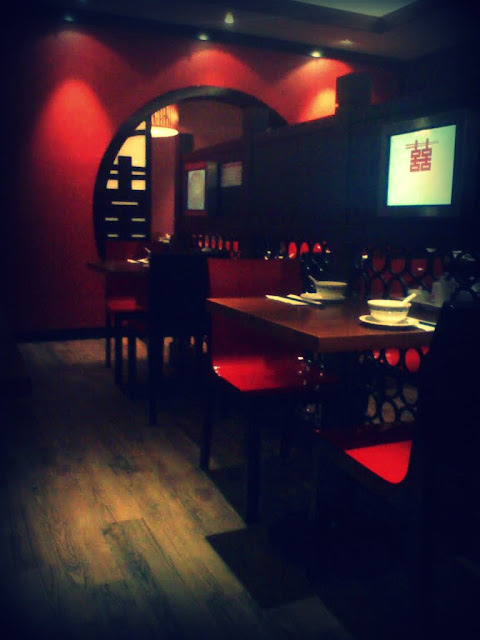 The fit out combines the traditional and morern well, although downstairs is windowless. 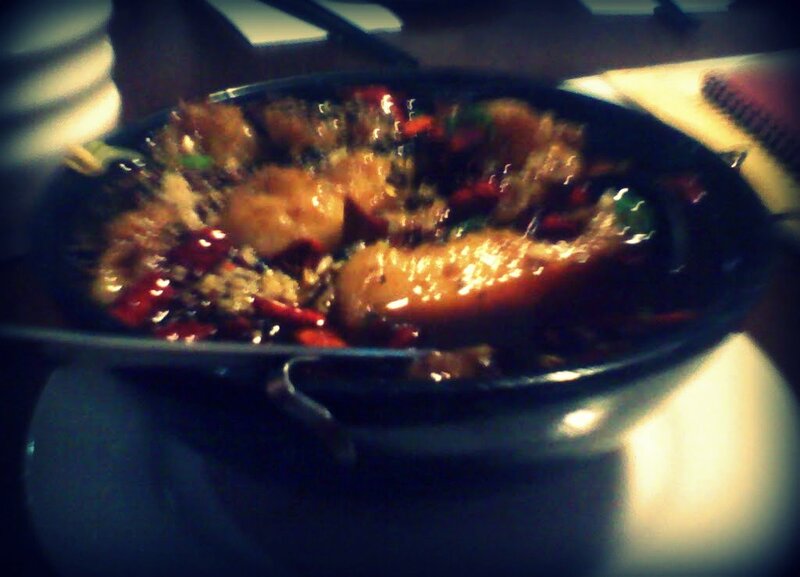 Very soon after we ordered food started arriving, the vegetarian fried rice was huge! I went for the spicy fish with rice which lived up to it's name and was full of chilli's and peppercorns. 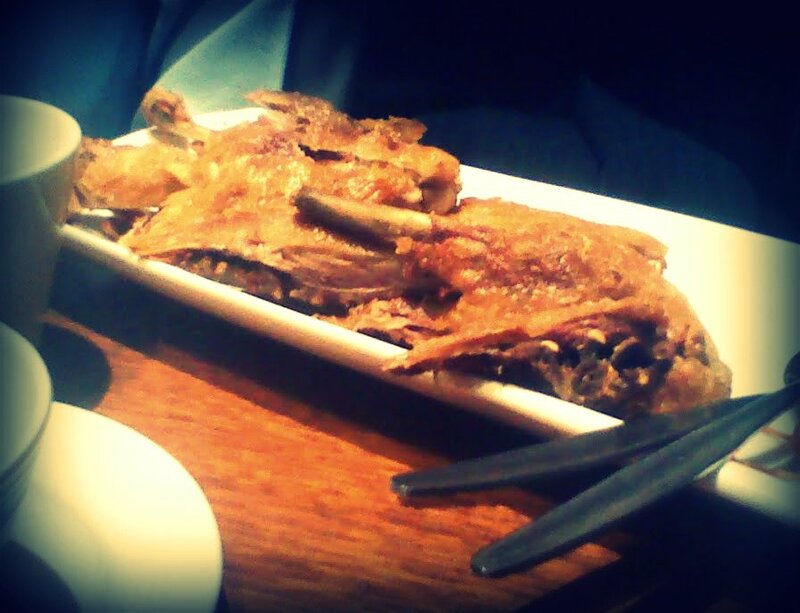 The duck looked crispy and dispeared quickly. 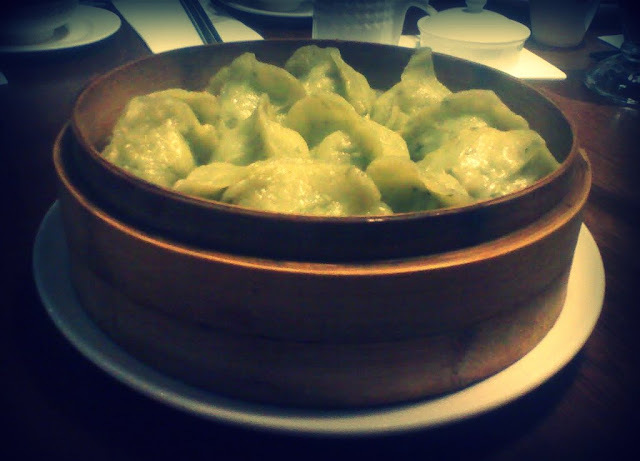 The vegetarian dumplings were green and tasty, but not quite up there with those from Shanghai village dumpling. 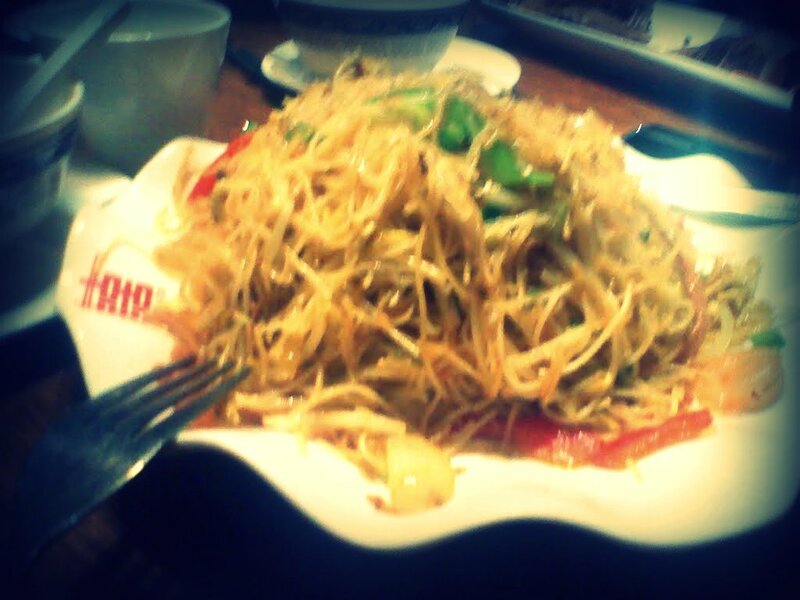 The singapore noodles were piled high too! The service was very efficient, except for one of the special dishes which took a lot longer than everything else to arrive. I'd cerainly think about popping back in for lunch again, normal/dinner prices were perhaps a little high compared to some of the neighbouring choices.